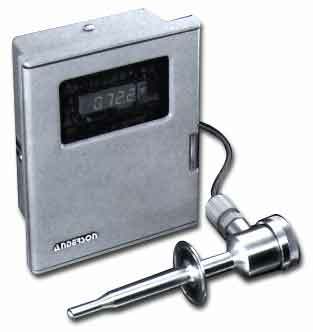 Often considered a commodity within the industry, Anderson-Negele RTD’s and Temperature Transmitters differentiate themselves with their application specific designs. The food and beverage models offer robust all stainless steel package design to ensure a long life in harsh environments. The life sciences models meet industry requirements for surface finish as well as device certifications and documentation. Anderson-Negele offers the broadest range of probe sizes and fittings within the sanitary market. Also available are several specialized temperature indicators. 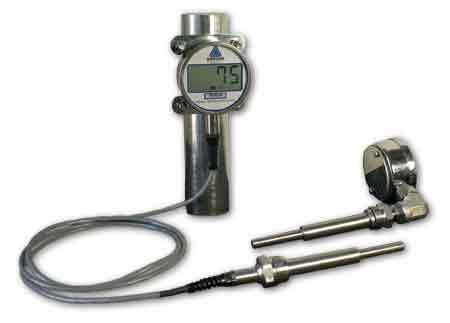 The FD digital reference thermometer was designed for use in a legal pasteurization system, meeting all requirements of the Pasteurized Milk Ordinance. This device may also be utilized on retort cookers where remote mounted displays add operator safety. Reading of process variables is removed from dangerous areas. 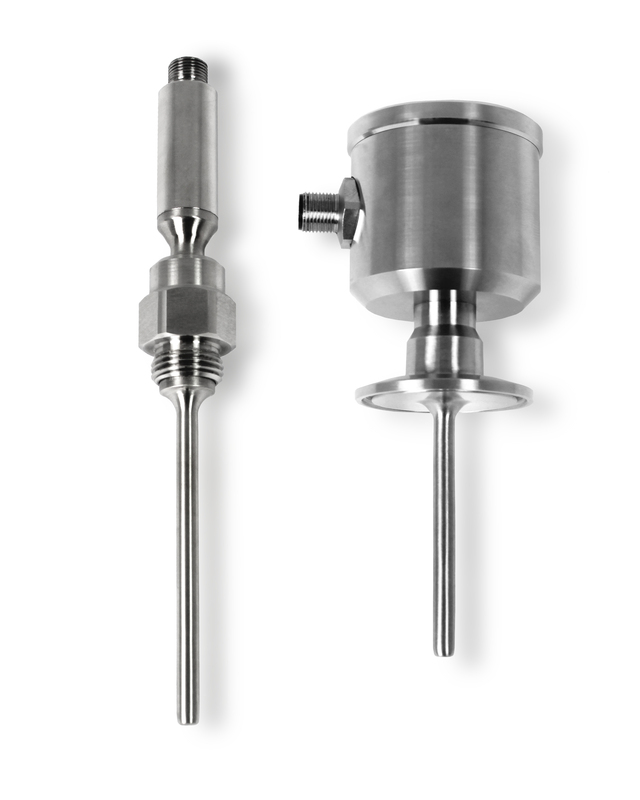 FH digital temperature gauges offer a standalone battery operated drop in replacement for old style mercury-in-glass thermometers on retort cookers. 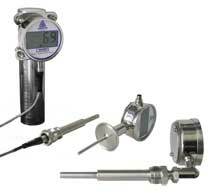 Digital display also simplifies gathering of process data during critical cook cycles. The model TSM and TSB temperature sensors bring several new features to the Anderson-Negele temperature platform.